Previous PostFinancing the public Safety Center: I feel dupedNext PostA hot cuppa coffee goes good on a bike. Reading a newspaper? Listening to music? Not so much. AARRGGHH. 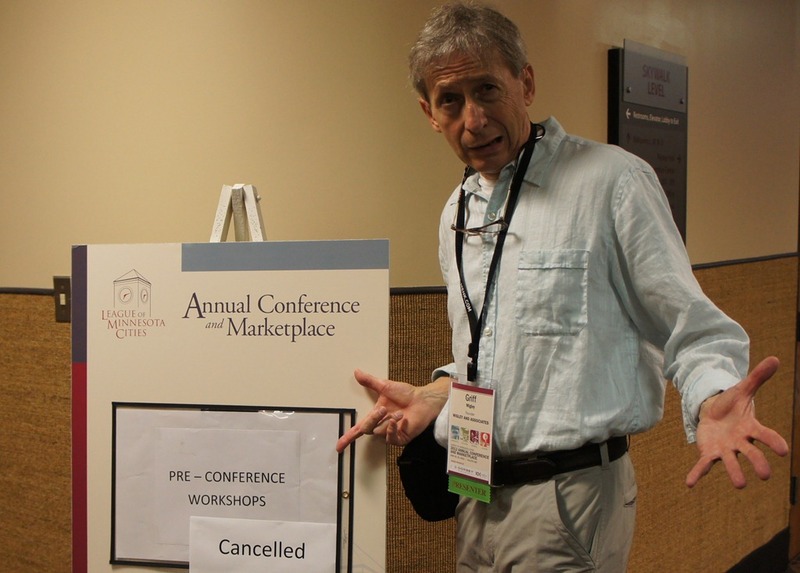 All pre-conference workshops cancelled today. Pretty much all roads in and out of Duluth are blocked, including I35. 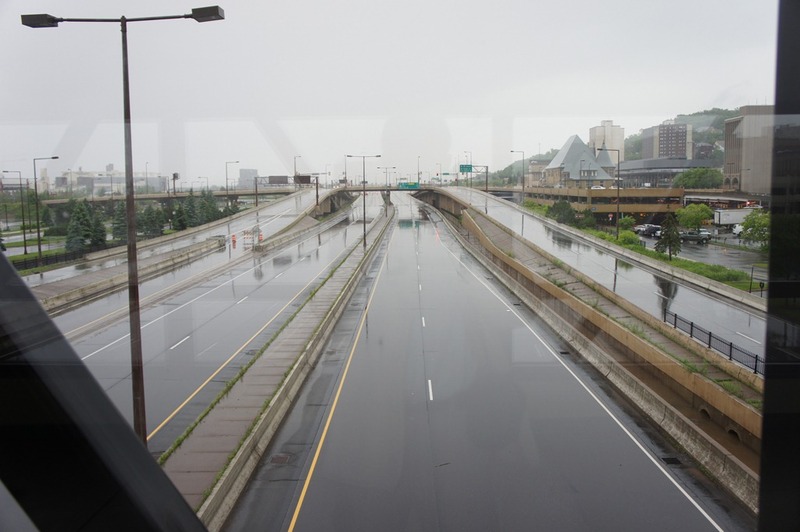 I’ve added 4 photos to the blog post above, including two of the totally empty I35 in the heart of Duluth. I really like the Duluth News Tribune’s live weather blog (actually live chat via CoverItLive), because it allows everyone to contribute updates, not just the reporters. Could this be effectively done by City Hall, eg, the emergency info manager/staff? 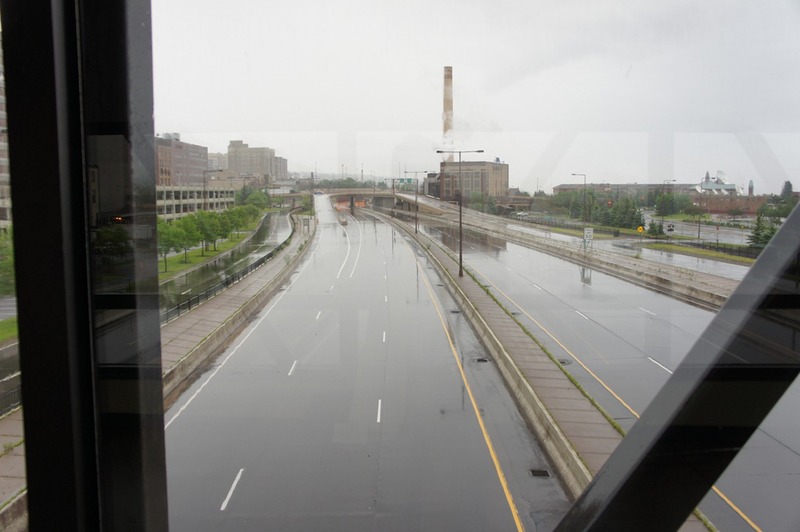 Someone else has set up a Duluth – Superior Flood 2012 Facebook page. This is what happens when you send Griff to a conference to educate cities on the benefits of social media! 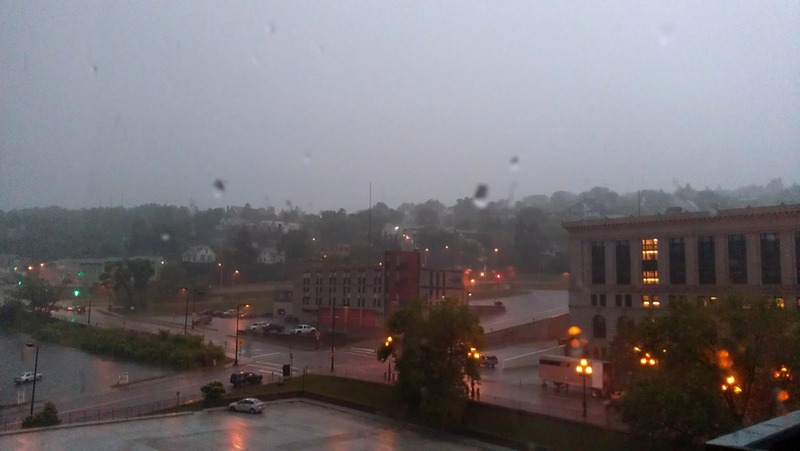 The City of Duluth is now in ruins and the League conference was delayed. 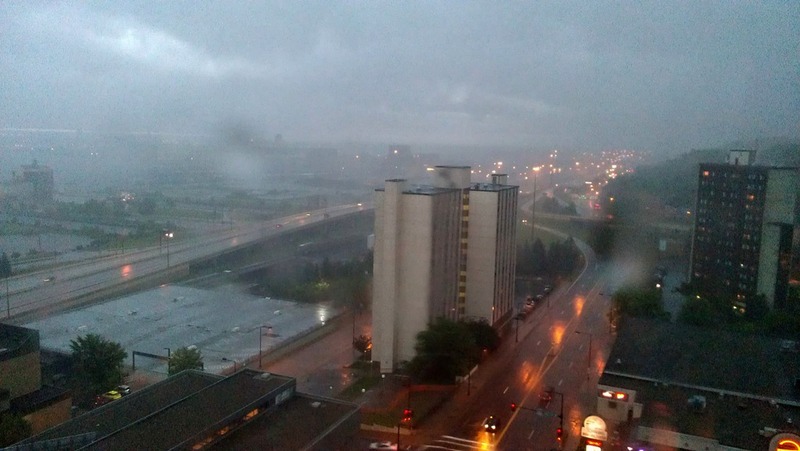 Is social media the cause of the recent radical weather patterns? They both appeared on the scene at the same time. I plan on attending his work session on Friday to ask this type of insightful question. 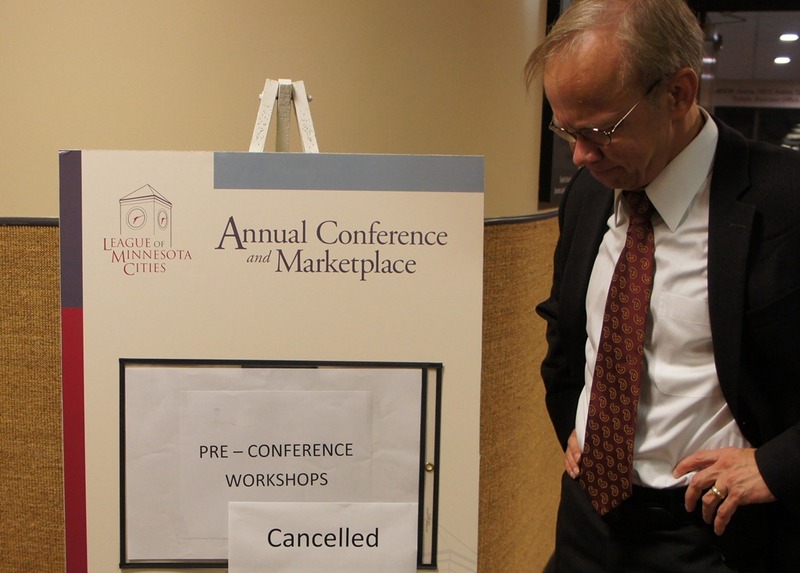 Sorry, Tim, no Northfield public officials will be allowed to attend my session on Friday. 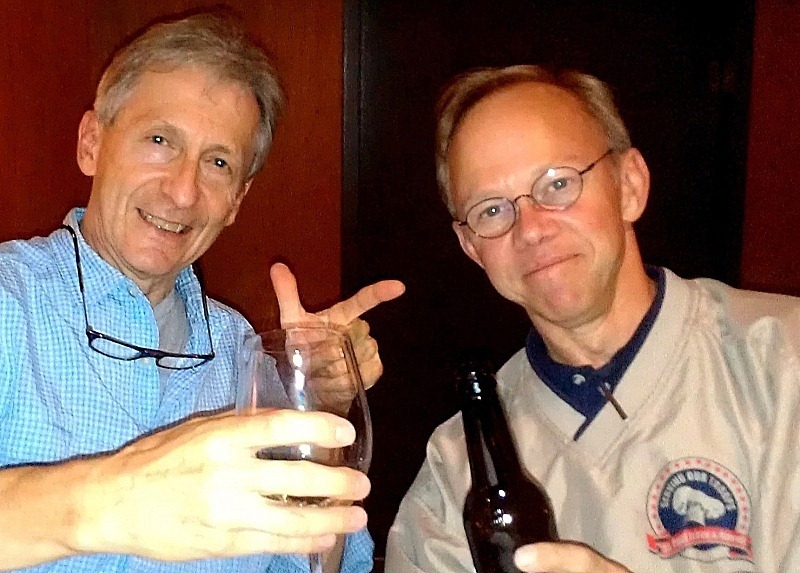 I can’t risk having you learn the social media tricks LoGro uses to pound on City Hall. Thanks, Griff. I’ve been wondering what the fate of the conference would be given the disastrous situation up there in Duluth. The resources you’ve provided are great. I hear the bike trail you’ve blogged about was hit, too, so that should keep you on the social media track instead of in the woods. Jane, all the standard mountain biking trails were closed but I connected with some guys who knew where there were rocky areas to ride that were impervious to rain so I did end up having my share of fun on Friday and Saturday. * Now that the City of Northfield will be updating its website platform later this year, an important goal will be to integrate social media into our communication process, which a number of councilors have been urging for some time. * Social media is here to stay, and cities need to explore the best ways to use it effectively within the boundaries set by good taste, and State and Federal law (e.g. privacy and content the city must take responsibility for). * There is at times a generational divide in how people want cities to communicate to them. For example, in the 2011 community survey most people stated their two main sources of municipal information was the City newsletter, the Commons, and the Northfield News. * Griff touched on a theme, which as a former civics teacher sparked my interest, and that was the balance between representative government where elected officials make the final decisions and having input/participation from the people they represent in the stages of decision making. This has always been a debatable theme and one that may be enhanced by the new tools of social media. My final thought is that it may be worthwhile to experiment with an upcoming local issue using some of the new social media techniques. Thanks, Tim. Glad you found my session valuable. I’ve got some ideas about how we could experiment. I’ll bug you!